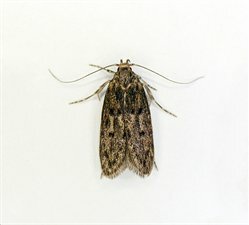 I had problems with moths in my apartment in the summers for a few years but despite regular hovering and dusting, and annual steam-cleaning of my carpet, they continued. I had always thought the moths were coming through the vents in my windows from outside until I discovered larvae in my son’s bedroom. My son had been travelling and his room had been empty for weeks. The scene under his rugby bag was a bit like a Hitchcock movie. And once I knew where to look, and started the hunt I discovered nests of larvae in various different locations around my flat. They were under drawers, hanging in hidden places in cracks and crevices in furniture and closets, under my piano and filing cabinets. Although the living room carpet was hovered weekly, the larvae had nested underneath it and shredded the underlay. To be honest, it was absolutely horrifying. There was a moth apocalypse going on in my apartment and because I had no knowledge of insects, I had not recognized it or known how to prevent it. I was disgusted and shocked and wanted to vacate the premises immediately. My first response was to quell the urge to sell the apartment right away and move house no matter what the consequences My second tactic was to run to the local hardware store for various traps and sprays and to go crazy cleaning. But neither of these were going to work. I took time to make calls to various carpet experts and pest control companies around the city. Many company spokespeople were not able to answer my questions in a satisfactory manner. The prices they quoted were not bad but they didn’t seem to know or care very much about their work. I picked OnGuard because it was clear right away that Keith had an expert knowledge of the insects and their lifecycle. I had all kinds of niggly concerns and he had what I could identify as practical and feasible solutions to every problem I posed. It was clear it would be costly to get rid of the moths but I did not want to invest time and money fixing the problem only to discover I still had a serious problem afterwards. The process of getting rid of the moths was time-consuming and laborious. This was unavoidable as the situation in my apartment was very serious. The staff at On Guard were absolutely fabulous in every way. Leah in the office was incredibly understanding and supportive when I was pestering her with all kinds of neurotic questions. Keith always answered my questions in texts and phone calls promptly and stuck to the arrangements he made so there was no stress associated with dealing with this company or any form of waiting around. All of the staff were willing to spend considerable time listening to my concerns and answering them with the best professional advice they could give. Once the apartment had been treated, it felt completely different. The air felt different and the whole place was refreshed and clean. I am so relieved and happy that the Hitchcock movie has ended and that I can relax and treat my apartment confidently as my home again. Also, after the treatment had been completed and paid for, the follow-up service was fantastic. OnGuard continued to be flexible and efficient in their dealings with me, paid visits to my apartment for inspections when requested at no extra charge and ensured that I would remain insect-free! I joked with them that they were like the Ghostbusters who arrived at the time of crisis and saved the day. If you are having trouble with pests, I cannot recommend this company highly enough. 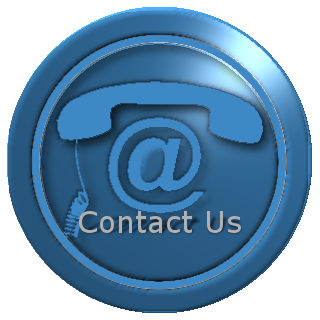 They will give you five star treatment and leave you with a pest-free and healthy home environment.